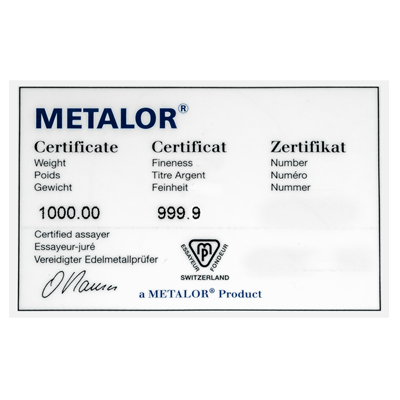 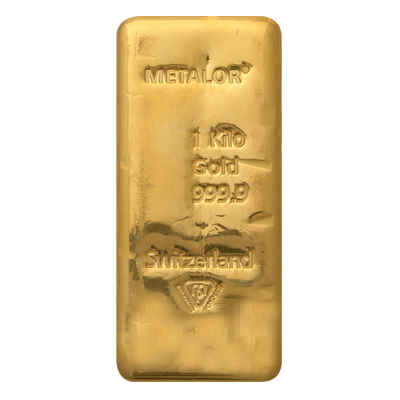 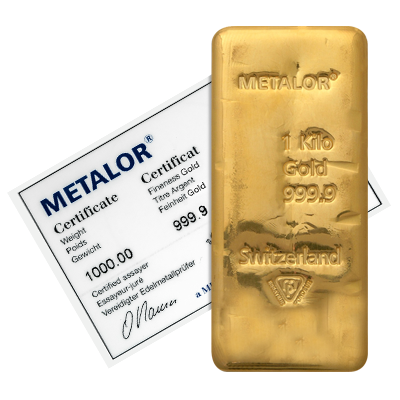 Metalor 1000g (32.15 Toz) cast bar of 24 carat (999.9) fine gold. 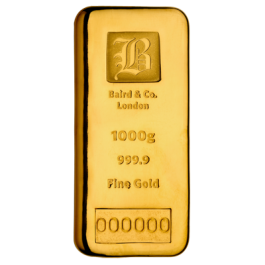 This item represents a very serious investment by the purchaser. 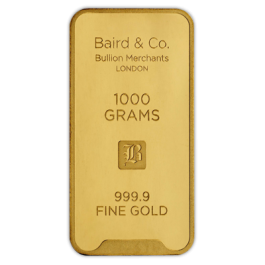 A full Kilogram of investment grade Fine Gold which can be Dispatched direct to you, Collected from our offices or delivered directly to a professional, secure, fully insured vault under our Secure Vaulted Storage Option.